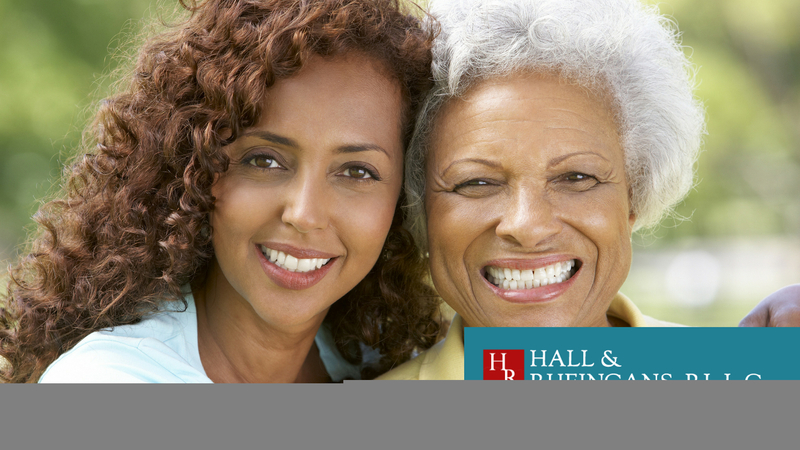 May is in full swing and that means it is both National Older Americans Month and National Elder Law Month. During this month our goal is to work with our clients, friends, and neighbors, to help spread the word about issues facing aging Americans and educate them on what they need to be prepared for both now and in the future. Unfortunately, there is much misinformation about elder law itself. Elder law is a practice in which attorneys focus on helping seniors and people with disabilities. In truth, however, elder law attorneys can assist anyone over eighteen years of age. This is because once we reach the age of majority no one has the legal authority to make decisions on our behalf. We find, and our clients share with us, that there continues to be a stigma of individuals not wanting to start “elder” law planning because they are “not that old”. Seniors or “Older Americans” are labeled as a generation of individuals who are over sixty years of age. This is one of the most at-risk generations of being targeted by criminals and scam artists right now. The main reason why is because, as a generation, seniors are thought to be more trustworthy and technologically savvy. This May, we turn our attention to ensuring that Older Americans have the information they need to protect themselves.This includes the education and prevention of current scams. Let us share several of the most popular scams targeting seniors. 1. The jury duty scam. The jury duty scam continues to be one of the most prevalent scams across the nation attacking seniors. This could be because it is good and relatively low-cost scam to implement. Through phone calls or the US mail system, the scammer informs the senior that he or she has been summoned for jury duty. However, there is a catch. For a nominal amount of money, the senior can essentially “buy” his or her way out of jury duty. This is a scam. You cannot at this time “buy” your way out of jury duty. If you receive such a notice, contact your local courthouse directly and inquire if you do in fact have jury duty and do not respond to the scammer. 2. The IRS scam. No matter what the time of year, the IRS tax lien scam is prevalent. Through the tax lien scam, someone will call you claiming to be from the IRS. The amount requested could be small or large, but this is a fear-based scam designed to convince the senior that a tax lien will be placed on his or her house unless the amount is immediately paid. Know that the IRS will not contact you directly over the phone. If you receive such a notice contact the FBI Elder Fraud Division to report this. If you have questions, speak to your accountant or contact the IRS directly. 3. The grandparent scam. The grandparents game is one of the worst scams that is currently targeting Older Americans. Through this scam, the criminal is trying to emotionally manipulate the Older American into taking action. The scammer uses someone who sounds young and could potentially be your grandchild who is in danger. The scammer will know that you have grandchildren. Although it is incredibly difficult, do not provide money, private information, or bank account access to the scammer. Instead hang up the phone and contact the parents of your grandchild. You can also discuss this potential scam early and develop a plan together to address it should happen to you. Although we wish scams were preventable at this time, they are not. The best prevention is to be as prepared as possible. If you know of other scams that we have not addressed here please do not hesitate to let us know. Contact us with your elder law questions because we are here to help.